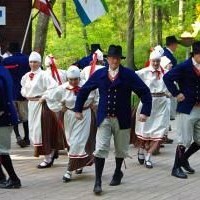 The Haanja dance, drama and song Society was founded in December 1988. 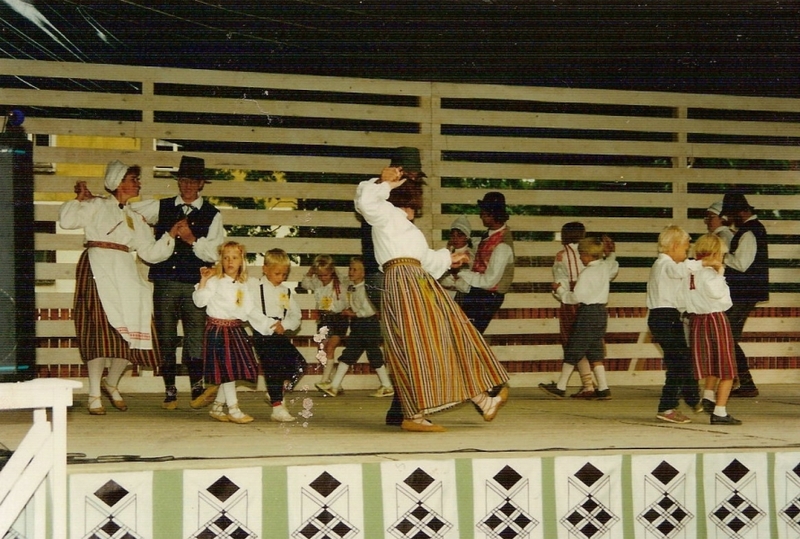 Original name was Haanja Community Centre´s dance Group. Since 1993 Ulvi Toomik has taught the (folk) dances, with the music provided by Anne Heier on piano. Practices take place once a week at the Haanja Community Centre, near the highest point in the Baltic States – Suur Munamägi (Big Egghill). The name ‘Haanja Tantsu Mängu Laulu Selts’ has been with us since 1994. Our group leader is Sulev Kraam and the member´s average age is 49. 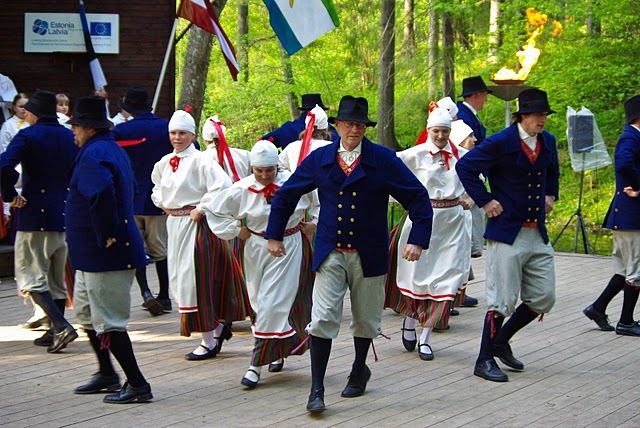 We love to dance Estonian National Dances and organise village parties (Simmaneid, where we invite guests to join in with the dancing. 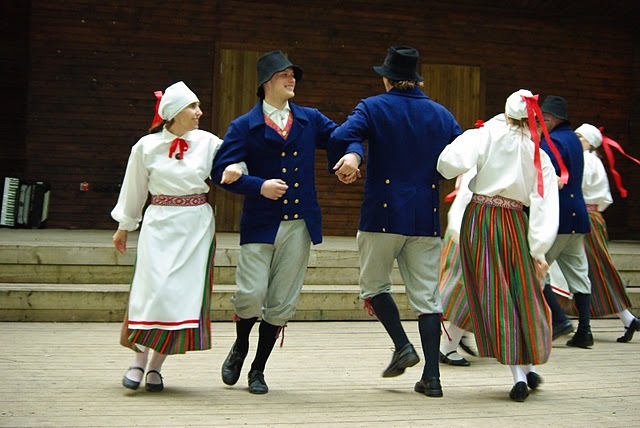 As we wear our national costumes it also gives us a grat chance to introduce these and let the people admire them. In years we have danced like our ancestors, we have kept the folklore authentic, but still learned many and many new dances from foreign countries. 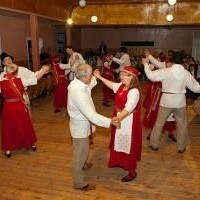 Our dancing has also given us the opportunity to perforn in various countries, like Sweden, Norway, Holland, Mordva and the Pihkva region of Russia, Hungary (Egeris and Szegedis), Italy (Bracciano) ,Czech Republic(Šumperk), Catalonia (Barcelona) and of course with our neighbours – in Latvia. 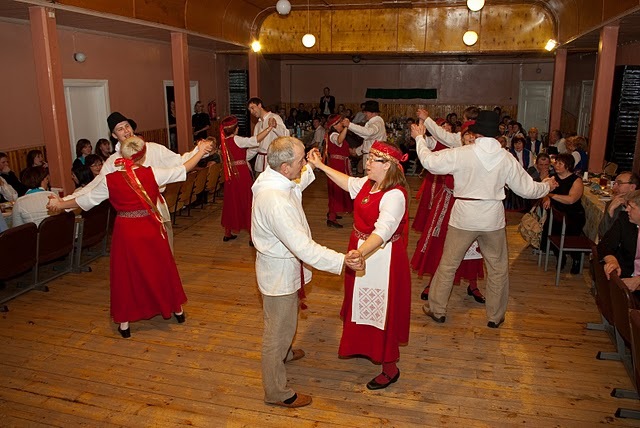 We have a good work relation with Võrumaa musicians accompanied us at our travels and village parties.